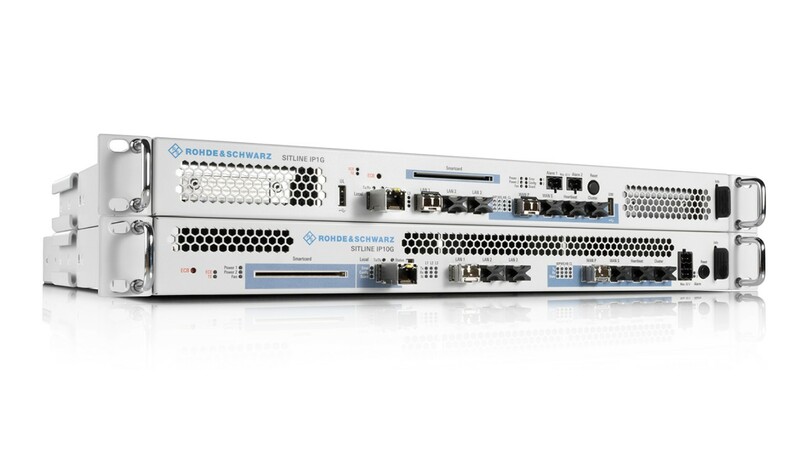 With R&S®SITLine IP, IT security expert Rohde & Schwarz Cybersecurity launches the first product family for layer 3 group encryption with VS-NfD approval. The solution offers a scalable bandwidth from 100 Mbps up to 10 Gbps with the aim of supporting an easy integration into existing and new IP networks. R&S SITLine IP adds a solution for IP networks to the R&S SITLine product family. Munich, March 28, 2019 –The new R&S®SITLine IP product family that is developed and produced in Germany offers public authorities and operators of critical infrastructures in particular the option of securely encrypting their data at layer 3 level. The solution is optimized for "Any-to-Any" communication in fully meshed networks: Compared to IPsec solutions, there is no need for point-to-point tunnels and overlay structures. This results in significantly less crypto-overhead with unchanged network relationships and less configuration effort. Another advantage for operators of modern networks is the native IP multicast transmission. In contrast to other methods, no packets need to be duplicated - the network load is reduced. R&S®SITLine IP is available in various speed classes from 100 Mbps to 10 Gbps. The solution ensures the highest level of security to the user through automatic key management and the associated periodic key changes. Communication is only allowed between mutually authenticated devices - attacks on confidential communication are prevented with the help of modern cryptographic methods. R&S®SITLine IP allows redundant scenarios to be set up and thus ensures fail-safe operation at important locations. Regardless of packet size and number, a maximum data throughput of 10 Gbps with low latencies is achieved. In addition to the new R&S®SITLine IP, R&S®SITLine ETH is part of the Rohde & Schwarz Cybersecurity network encryption product family. R&S®SITLine ETH offers solutions for Ethernet encryption for bandwidths up to 40 Gbps. The devices in the SITLine product portfolio are approved by the German Federal Office for Information Security (BSI).